HomeCalling out to aspiring Allied Educators! 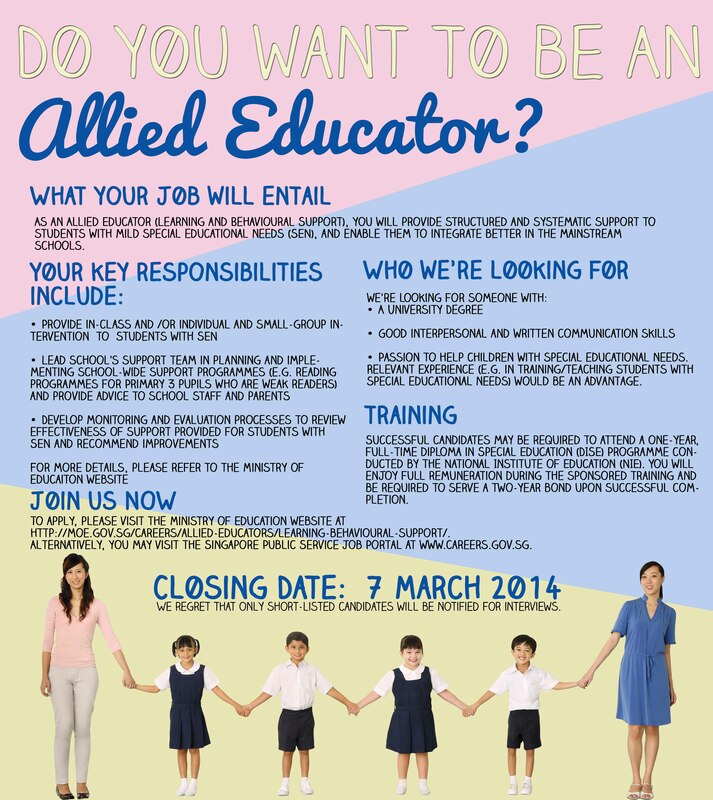 Calling out to aspiring Allied Educators! MOE will be running a recruitment exercise for the position of Allied Educators (Learning and Behavioural Support) for final year undergraduate students and alumni. There are no restrictions with regard to the GPA eligibility criteria. Application starts on 22 Feb 2014. To apply, please complete the application form at www.moe.gov.sg/careers/allied-educators/learning-behavioural-support by 7 March 2014. May I know when is the next intake for Allied Educators(Learning and Behavioural Support)?